On Friday, I will be making a quick trip south for CDF (to be held Saturday, May 14), the Celiac Disease Conference in Los Angeles, CA. I’ll be working at the Attune Foods booth, handing out chocolate samples, free product coupons, and even selling some of my books! Stop by and say hi if you are going to be attending the event. It should be quite the informational gathering, and though I don’t have a Celiac diagnosis, I’m very curious to learn more. Now, for those of you who can’t make the event … have no fear! I’ve got some free product coupons for you too! First, what does Attune make (and what can you get with these coupons)? Attune Probiotic Chocolate Bars – The dark ones are dairy-free! All are certified gluten-free. Attune Probiotic Granola Munch – I hear it is awesome, but it isn’t dairy-free, so alas, not on my menu (I’m working on them though!). Erewhon Cereals – Many awesome ones to choose from (the Strawberry Crisp and Crispy Brown Rice being my Favs), and all gluten-free ones are certified gluten-free. Uncle Sam Cereals – Ah history. This cereal has been around for decades! New Morning Graham Products – The do contain honey (not 100% vegan, but the above noted products are), but if you are good with this, the Grahamwiches are not to be missed! Skinner’s Cereals – Hmm, haven’t tried yet, but looks like a good healthy staple. Okay, so three of you (U.S. only for this one) will receive three free product coupons to use on the Attune products of your choice! To Enter: Simply head to the Attune Foods website, and then comment below, letting me know what product(s) you would pick up with these coupons. Additional Entries: “Like” Go Dairy Free and or Attune Foods on Facebook, and let me know you did (or already do) in another comment. Deadline: This is a one-day-only contest (I’ve got to pack! ), so enter by 6am EST, Thursday, May 12, 2011. One More Giveaway Announcement! 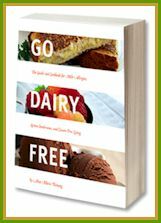 I just found out Attune Foods is giving away copies of my book, Go Dairy Free, on their blog! If you don’t already have it, or want a gift copy, head over to this post, and enter to win! Win a Free Ticket ($250 Value!) to the Fitness & Health Blogger Conference in Boulder, Colorado! I would definitely get the brown rice gluten free cereal (always do) so I can make more cereal bars. I also really want to try the dark chocolate probiotic bar! To add to that I do “like” both pages on facebook! I would love the mint dark chocolate bar. Yum! I “liked” go dairy free on Facebook. And the dark chocolate bar would be the thing I’d order. I got excited for a minute when I saw almond milk chocolate- I thought it was chocolate made with almond milk! I want to try the strawberry crisp cereal and the honey grahams! I already like Go Dairy Free on Facebook! I would love to try the graham crackers! Oh but crap they aren’t GF. I saw that probiotic granola a couple days ago at the store….intrigued, for sure. So I would have to try the Attune bars. Yum! I now LOVE Attune products because of you! The Attune Probiotic Chocolate Bars are delicious- and the vanilla blueberry (I think it was). “Liked” Attune Foods and Go Dairy Free!!!!! I’d love to try the rice krispy treats or honey grahams. Oooh, then I just saw the attune Mint Chocolate Probiotic Bar. Just what every mommy needs! I’m ALL about the dark chocolate — probiotic, and dairy- and gluten-free!! yum! I have never seen the Honey Grahams or Granola Munch and would love to try those! I liked Attune Foods on facebook. 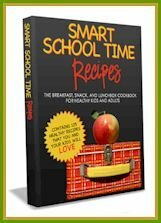 My kids love the chocolate mint bars, they are amazing!!! i like go dairy free on FB! I also like attune foods on FB. checked out the Attune webiste. who knew they have New Morning Honey Grahams which I love and use for baking?! So I guess would like to try the cocoa brown rice crispy cereal, and the 2 granolas, chocolate munch and maple nut munch. The Uncle Sam cereal looks sooo filling. And filling breakfasts are the best! I already liked you on facebook, and I just liked Attune Foods too! I would have to try the Uncle Sam Strawberry Cereal. I “like” GDF on facebook! I’d love to try the Attune Dark Chocolate Probiotic Bar, fabulous idea! and the Erewhon Cocoa Crispy Brown Rice Cereal looks great too, thanks! Attune granola munch and Graham crackers! Yummy! I would love to try the Erewhon Strawberry Crisp Cereal and plain brown rice cereal. I hope they do change that granola crunch so that there are more dairy-free options because that looks yummy! I like you on facebook. Thanks for this opportunity! I would either try the milk chocolate crisp bar or the strawberry crisp cereal! 🙂 YUM! Pingback: Alisa Cooks – recipes from the Go Dairy Free kitchen » Winners!! Probiotic Chocolate, Gluten-Free Cereals, and a Free Pass to the Fitness & Health Blogger Conference!